There were 249 lots of medals and militaria in this sale. 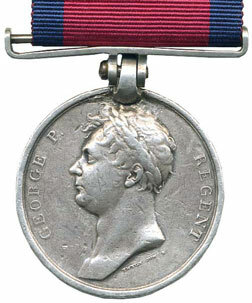 An 1815 Waterloo Medal to Thomas Bisset of the 71st Foot sold for £1475. 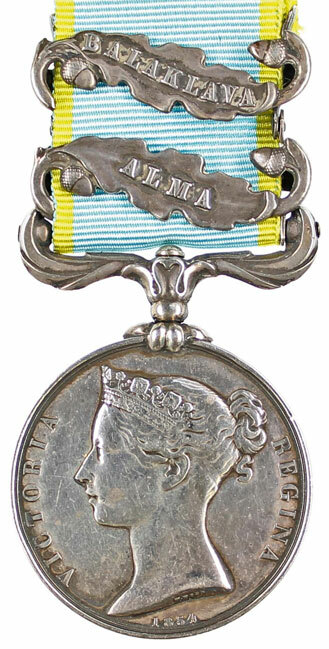 The star item of the sale was lot 23, a Light Brigade Charger’s Crimea Medal to Algernon Holliday of the 13th Dragoons. He was one of only 12 members of the regiment to be killed in the charge and his medal sold for £11,210. A rare WW1 MC and KEVII 1908 North West Frontier DCM group of 9 to Major Norman Reid, Seaforth Highlanders, saw spirited room bidding before finally selling at nearly double the estimate for £7375. There were 79 lots of militaria and lot 172 was a Belgian FN battle rifle which sold for £796. 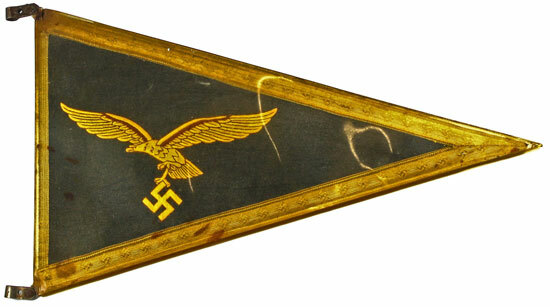 Lot 213 was a rare Luftwaffe General’s car pennant. Two telephone bidders battled it out before it finally sold for £1062.